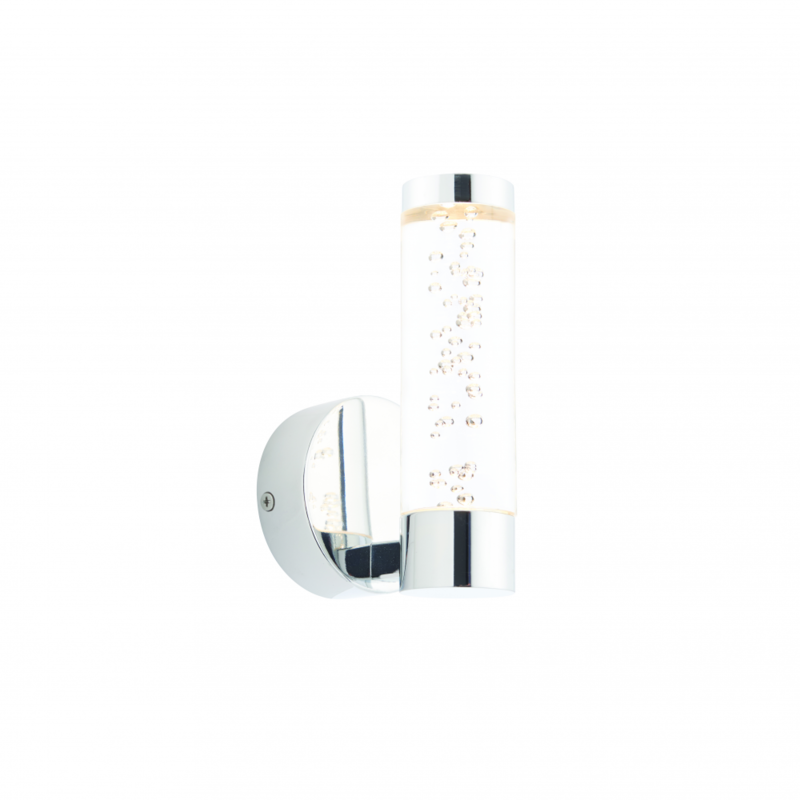 1 light IP44 flush bathroom wall light. Features a clear acrylic shade with a fun bubble effect. Matching items available. 8cm projection x 14cm height x 8cm width. Bulb information: 3W LED module (COB) Warm White - included - 3000k.